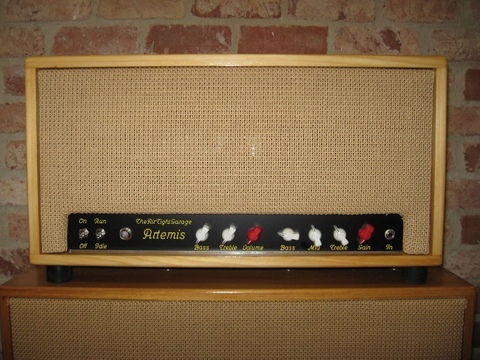 The Artemis is a seventy watt amplifier with two preamps. One preamp is a clean preamp utilizing two pentode driver tubes, it can be used for bass guitar or six string guitar, giving a clean tone until driven hard when it breaks up smoothly. The other channel is a multi triode driven channel whose breakup comes in quickly. The bass channel has volume, bass and treble controls and the guitar channel has gain, treble, mid and bass controls. 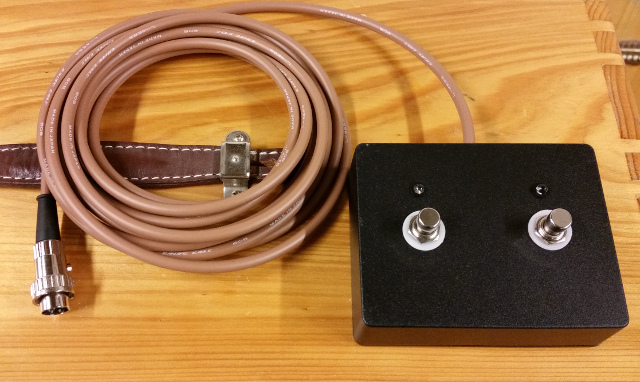 An optional footswitch will allow the guitar channel to be pulled in and out of the signal chain. Four, eight and sixteen ohm outputs are available on the back panel via 1/4" and Speakon connections. Given any relatively effecient cabinet, the Artemis has plenty of power, although the seventy watt rating seems low. This is due to the fact that the Artemis has an extremely overbuilt output transformer and can produce full power at 20hz with low frequency roll off starting at 15hz. 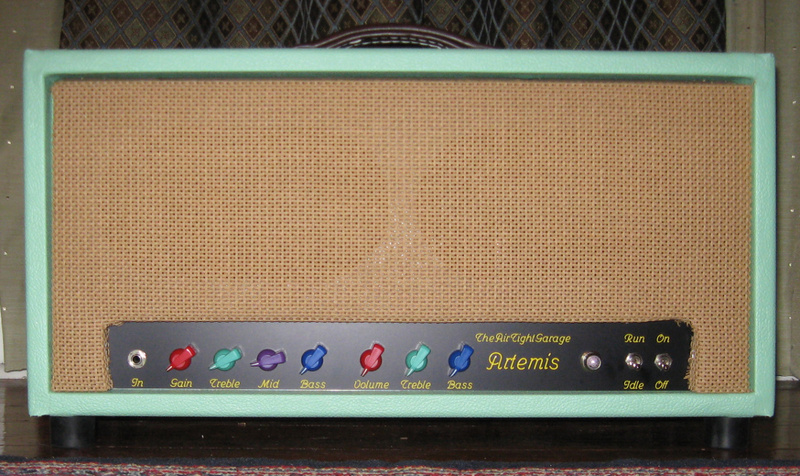 The artemis comes with foot pedal, and each channel can be turned off and on independent of the other.